2 What Is Voice Search to Search Marketers? 3 Why Will They Lose Their Businesses? 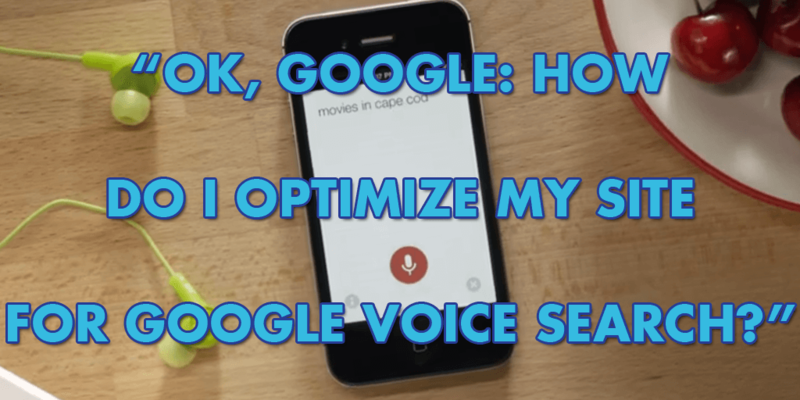 4 Is It Time To Optimize Your Site for Voice Search? 6 What makes Google Voice Search Unique? Are you still in doubt about the technological advancements? Maybe you’re still drawn back in the old system or simply don’t want to believe if the heights of technological reach are actually possible? Well, you should know the world keeps evolving and, of course, you have to follow its tides wherever they spread. Whatever you need, want to know or want to improve on is right just a power button of your PC or tablet away and a few keyboard inputs. Just type anything in the Google search box and wait for unending options. However, this isn’t enough yet as tech-whizkids keeps the research for more advanced options on to make things easier for everybody including our later generations. Google Voice Search is an alternative function that allows every user to navigate or search the Web using Google through spoken or voice commands instead of typing. At the moment, Voice search is growing very fast and, of course, it’s going to change the prospect of digital marketing in the soonest time. This isn’t slowing down anytime soon and, no one knows exactly how far it’ll influence digital marketing yet. However, the facts aren’t too far from a common understanding that Voice search has made online searches more accurate, faster and fun. And, the technology growing by the seconds is a call to reminder that every one of us should get involved soon learning everything there is and shaping ourselves to take the best advantages of every length of technological advancement, especially the Google Voice Search to enhance our online marketing strategies. One thing is certain, Voice search could alter everything about SEO marketing landscape but you’ll always gain an advantage over other marketers, who are slower to adopt new marketing changes, if you keep yourself up-to-date with every new technological development and optimize your website for Voice search sooner. There’s much to learn about the Google Voice Technology keeping in mind that everything could change just with the blink of an eye and the faster you get involved and adapt, the better chance you’ll hold in the future. What Is Voice Search to Search Marketers? Voice search is becoming more popular with every passing moment. Back in 2016, the SEMrush blog mentioned it and smart devices powered by voice such as the Google Home and Amazon Echo are on the peak popularity right away. Now and then, Cortana and Siri, the Voice-powered digital assistants are constantly and tirelessly working and improving the functionality and features of this technological advancement. Here’s the catch, marketers who refuse to adjust to suit the Voice search technology or simply optimize their sites to Voice search may end up staying behind the business profile or losing their businesses totally too. Why Will They Lose Their Businesses? Research confirms that most people, if not every individual, speaks faster than they write or type. With Google Voice search, internet search has been made a lot faster. This makes the most interesting part of search. Users can simply be on web search and get information while cooking, washing or driving. It’s easier for users on mobile devices to ask questions out loud than typing on the small screen which often initiates numerous typing errors. This is why most mobile users are drifting from the normal Google search to the Voice search. It’s clear at this point that Google voice is preparing for a greater role in future search technology and since this is still new, it’s not certain in what numerous ways will it evolve. Is It Time To Optimize Your Site for Voice Search? Yes, if you do it now, you’ll have a greater chance to step ahead of competitors. Now is the right time to set up your site and your marketing campaigns to hook voice searchers while you still maintain your keyboard searchers. While both of the searches “Voice search and text-based search” perform almost the same functions, they’re basically different. Most voice search users simply make searches as if they were talking to someone close to them or someone listening to them. This makes their searches more accurate and direct. Optimizing your site for voice search could be a forward thinking and, of course, the best way to climb up the profile and move ahead of your competitors. However, you should know what works here and what doesn’t. Unlike text-searches, voice searches by users are often phrased like questions and contain more natural words including; to, and, where, if, in, the, or etc. This makes voice searches usually longer than text searches making the use of long tail keywords mandatory. However, neither Google nor Bing has given the opportunity to separate text searches from voice searches, but they can be separated based on search queries. So, the first thing you must do while optimizing your site for voice search is to check your analytics and spot out the searches that look like natural languages, combine them together and make some patterns. Do this with cautiousness and keep the questions people could be asking to find your site in mind. Pick out long-tail keywords “search terms or queries longer than the typical search queries and are more specific” that will enable searchers to find your site easily and make sure they flow naturally with the way people talk normally. For example, you should think of using a keyword like “where can I find the best restaurants in Florida” not “best restaurants in Florida”. Voice searches can be used on both mobiles and desktop and outside mere convenience; Google voice search offers more advantages. First, it’s entirely changing the way search queries are handled by Google and how users source for information on the web. The attitude with voice search is different from text search and everything in general. 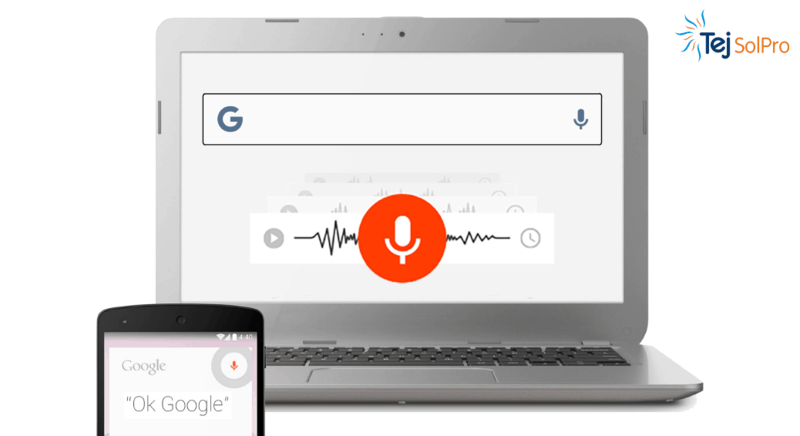 All you have to do to initiate your search is either tapping the microphone icon to the right of the main Google search box or simply say “Ok, Google” to tell Google to begin to analyze what you say through a hands-free voice command although only possible with some mobile devices or operating systems. What makes Google Voice Search Unique? There’s no need to dive into the history of Voice search now of beating around the bush. The content of this post is solely an informative and a guide to make the best available decision judging with the current search trends and why you should do what you need to. How marketers can develop strategies, ad campaigns, and contents to meet up their marketing expectations being voice search cautious is our major concern here. As earlier said, whether the user voices the search or types it, they’re taken to the search results which may not be too different but depending on the type of device they make the search query. For example, results displayed on a mobile device may be different from that on a desktop device not in terms of the context but the search query and SERP. Some may return exactly the same in both devices in some cases. However, that is not the major concern with the voice search technology. The major concern is the convenience, speed, and the simplicity. It’s a lot easier for users to voice their searches than typing especially on the mobile devices and when looking for a specific location or information. Voice searches are a lot more specific, easier and give more accurate results. We already know that voice searches are becoming more popular by the day and almost taking the lead by researchers. However, isn’t it important to know too if it has some specific uses? The answer to this question depends on individuals and their ages. Researches show that both adults and younger individuals have some specific Google voice uses. For example, it’s shown that adults use voice search often for direction specifications to get to specific locations. Results shown with direction specification voice searches are more accurate, safer and compliant with the state laws even while users are driving. This makes a lot of sense and is much easier. But you can’t type while you’re driving to search for locations or direction which is against the local laws. Others include using voice command to check time, dictate text messages, to initiate call functions in the mobile devices, play media and more. Per minute, the average person can type around 40 words but can speak well around 160 words and above. This makes search more specific and less stressful. Also, it makes voice search makes search easier for people with typing difficulty which of course, the major problem faced by most mobile device users. If users can use Voice Search for location specifications or directions, what do you think will be the future of digital marketing if Voice search can be integrated with local search listing? 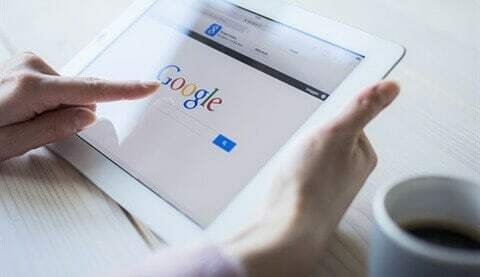 All users have to do is simply ask Google to help them find local stores around selling a particular item they need to buy, the prices, available best alternatives if they don’t have the specific item and their selling or opening hours. It’s actually approaching the time for digital marketing dream’s fulfillment. Note: most of the users’ voice search queries come in the form of questions like they’re asking a friend something and expecting concrete and specific answers so your content or specific keywords should take this format. “What are your web design services” not “web design service”. Answering these questions by yourself gives you a clear insight of what your keywords should be. It’s true that Google search engine is incredibly advanced but it needs your information to be as simple and direct as possible if your page must come up on the search page. Ensure you give specific information concerning your products or services, most importantly the product name, your address with the street number, your opening hours, clear HTML plain bold images and the specific services you offer and prices if applicable. Good post Ankit! With mobile taking over the amount of searches it only makes sense that voice is increasingly important. Have to stay up on the trend. Next question, how does recognition tie in?